Last week, our IoT partner, Eurotech, announced some important milestones–the availability of their Everyware Software Framework (ESF) 5.0 and a preview of a new version of their Everyware Cloud 4.2. These milestones are important examples of open source IoT innovation, through both Eurotech’s commercial offerings and the upstream open source communities that contribute to them. James Kirkland is one of the architects involved in the new open source Kapua project on Eclipse.org. In this blog post he discusses how innovation happens when industry leaders collaborate to make their customers successful. 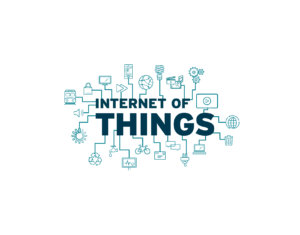 Red Hat is hosting a virtual event, “Building data-driven solutions for the Internet of Things,” at 11 a.m. EDT (New York City time) on Thursday, April 23, 2015. As people, devices, and machines increasingly connect to form broader and broader networks of “things,” all sending and receiving data to one another, being able to understand and leverage the Internet of Things (IoT) within the enterprise becomes an important task. The Internet of Things represents outstanding opportunities for innovation and opens the door to new development projects. At its core is the need for next-generation intelligent systems to collect, analyze, and communicate data into actionable information. Red Hat is in a unique position to help developers architect those systems and bring about the promises of the IoT. In fact, Red Hat technology is already embedded in intelligent systems throughout the world to enable IoT use cases such as Smart Cities, Positive Train Control, smart energy metering, and telemetrics.